The Hats Off To The Bull tour touched down to a sold out crowd in Niagara Falls Sunday evening. The triple bill headlined by Chevelle, also featured Middle Class Rut and Janus. Chevelle is in the midst of their second leg of the tour that will feature stops in New York City, Baltimore and Nashville. Their latest effort, Hats Off To The Bull has landed them at #20 on the Billboard album charts. 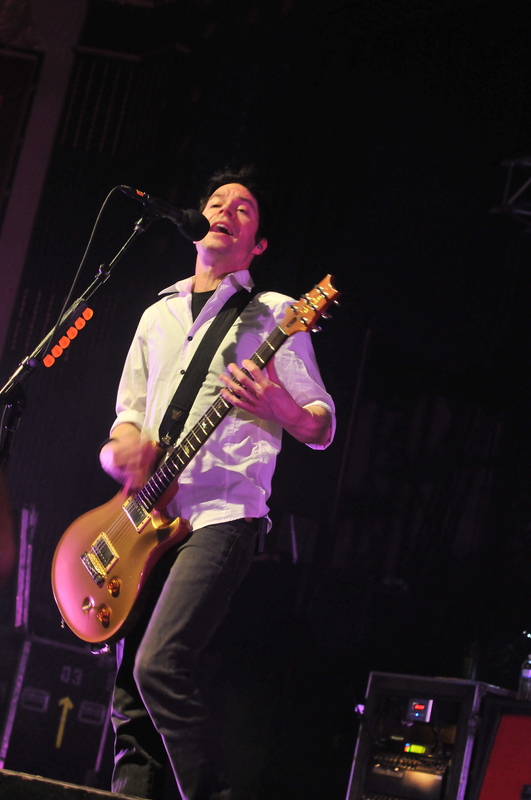 Chevelle featured songs throughout their catalog, as the only album not represented was there debut Point #1. “Antisaint”, set the tone and got the proceedings off to a blistering start. The crowd was extremely wild as on several occasions crowd surfers helped make the venue security earn their money on this particular night. The band did a fine job changing their set list around from their previous leg. Consisting of Sam and Pete Loeffler along with bassist Dean Bernardini, the band delivered a powerful show. The venue was perfect for the band as they looked and sounded right at home. It was during “Send The Pain Below” that the crowd took over and could be heard singing along. The two-song encore started off with their breakthrough single “The Red”. Of course the song everyone waited all night to see “Face To The Floor” was saved for last as it should have been. It was the perfect song to end the show with and judging from the smiling faces as they left the venue, everyone went home more than satisfied. Opening the show was Janus, another band like Chevelle in the fact both are based in Chicago. Touring in support of their first studio album in three plus years Nox Aeris, the band delivered a strong set that ended with “Eyesore”, a track familiar to most in the audience. There left a question why Middle Class Rut and Janus were not flip flopped as the show seemed to lose some steam once Janus left the stage. Of course once Chevelle hit the stage the pace picked up as expected. Chevelle has a good thing going right now. The band has done its share of being on packages supporting Ozzfest and Nickelback, among others in the past. They have also headlined clubs and theaters themselves. At this stage of their career it is good to see them play where they can headline regularly. The true winners here are the fans who can see more than a half hour set and a more diverse show. Thanks to Bari Lieberman for allowing us to review the show!